All-electric cars can sometimes fall far short of advertised ranges, car engineers say. Despite being billed as capable of going 335 km on a single full charge, the ES8 didn’t get anywhere near that when driving on freeways at speeds above 100 km per hour (60mph). So unhappy was Wang, who paid 481,000 yuan (USD 71,700) for the vehicle, he sold it. He and his wife have since bought a Lexus NX300h gasoline-electric SUV. In real-world conditions, all-electric cars can sometimes fall far short of advertised ranges, car engineers say. That’s particularly so when driving at length on freeways or hilly terrain and in hot or cold weather. China, Europe and the US state of California have set ambitious requirements for automakers to dramatically increase EV sales over the next 5-10 years, but those goals are at risk unless EVs can come close to matching gasoline engine cars in cost and ease of use. Ouyang cited a reduction in battery costs to USD 100 per kilowatt hours from USD 150-USD 200 currently and a planned tightening of emissions rules in China which will make gasoline vehicles there more expensive. But pressure to deliver parity will only grow as China rolls back subsidies while setting quotas for sales of new energy vehicles (NEVs). China wants NEVs - which also include hybrids, plug-in hybrids and hydrogen fuel cell vehicles - to account for a fifth of auto sales by 2025 compared with 5 per cent now. For most automakers, battery cells cost around USD 200/kWh, the engineers said, although costs for Tesla Inc are believed to be around USD 150/kWh, partly due to its much greater scale of production. Tesla declined to comment. To cut costs, firms are working on slashing the use of cobalt, the most expensive part of lithium-ion batteries. It uses 80 per cent nickel, 10 per cent manganese, 10 per cent cobalt, while a conventional lithium-ion battery uses 60 per cent nickel, 20 per cent manganese and 20 per cent cobalt. NMC 811 also delivers more energy density, meaning batteries will cost and weigh less. Less cobalt and more nickel increase the risk that a battery cell will catch fire - a problem still being worked on. Even so, South Korean battery makers say the next generation of batteries due in three years or so will cost much less and offer much greater driving ranges. But the engineers who spoke with Reuter's caution that even if battery unit costs are brought down to USD 100/kWh, this would not necessarily translate into a steep decline in vehicle costs. “Falling EV battery capacity is not a major issue in China now because sales there have only recently begun, but in time this problem will likely become more evident,” he told Reuters in an interview. Longer-term efforts to improve batteries are solid state batteries, where the liquid or gel-form electrolyte in a lithium-ion battery is replaced with a solid. That could help double a battery’s energy density. 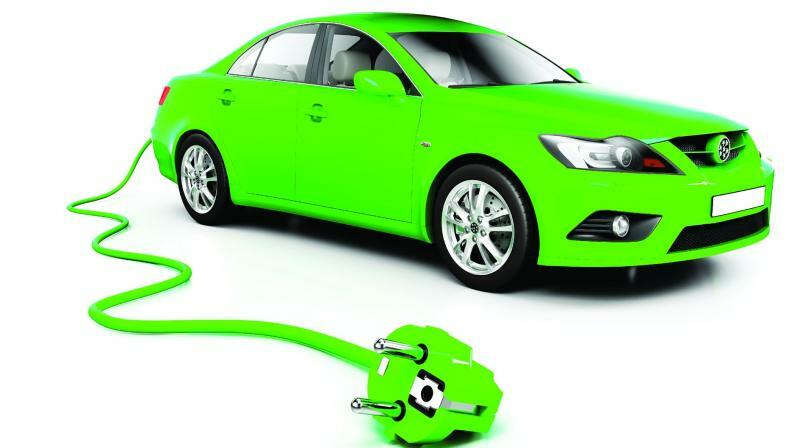 Advances in recharging are also key to making electric vehicles mainstream. A big obstacle is heated, which increases resistance and in turn, reduces the current. Most EVs can get a partial charge in less than half an hour, although several models due out in the next year can get close to a full charge in 20 minutes. TE Connectivity is working with automakers to cut charging time to as little as 5 minutes and Chief Technology Officer Alan Amici say that goal may be attained in five years.